Here's what the region is starting to look like so far. I think the grass textures could do with adjusting slightly. Make the pale one appear less often. Also could do with more ground textures for added variation. Looks good already. I think once we have more different trees and bushes and other plants things will really shape up. Yeah I think its a must to have more variation. Good thing about this is its all generated on the fly with the Mesh Generator. So whenever new objects are modelled they can just be added to the .ini and thrown across the landscape. Only problem is that the Mesh Generator is so inconsistent at times. But yeah. I'm liking the overall colourscheme at the minute. I think some of the paler grass should be less frequent. 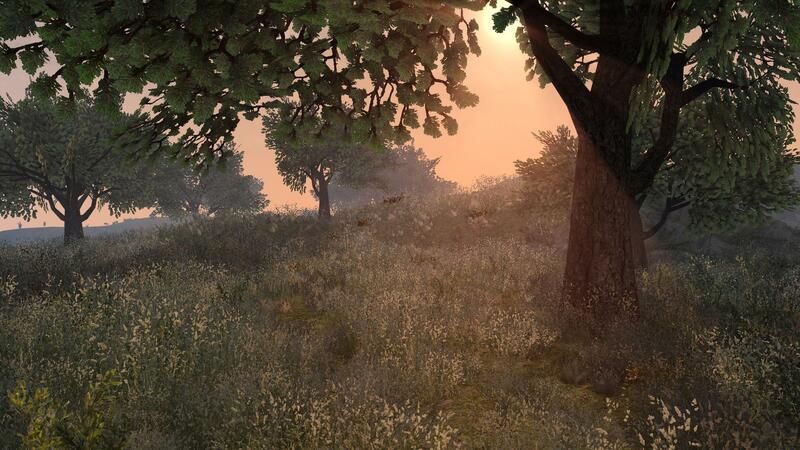 I will modify the grass meshes at some point. They need to be a bit smaller on the whole too. Just so you know Worsas. I modified those meshes you sent me. To the trees I moved them up the z axis so that they could be randomly generated without sinking too far into the ground. And the rocks I altered slightly too. Moved them so they sit well when generated and rotated the clustered ones also so they generate on the land better. Cheers for the models, they are really good. A few more variations would be badass though Will be nice to get more plants in there too. You should eventually adjust rocks and trees by hand as soon as you get to placing points of interest around. Also add vertex color and all that jazz. Make sure to add unique spots all around the region, some more imposant rock formations, tiny waterplaces, steep hillsides, narrow paths and the like. You could probably leave 50% of the landscape nearly untouched but add a lot of unique detail in the other 50%. That would make a good mixture, I think. 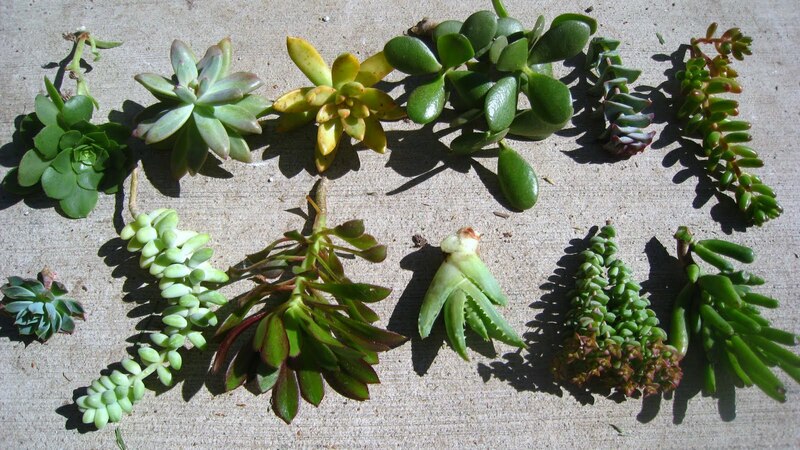 I still want to make some rocks and possibly some plants too. I would like to see some other cedar-like trees, for example. But I'm a bit stressed out right now. I will look. Edit: This is not to say, there was no terrain work done on the shown screenshots. I see that you already added more detail beyond the base heightmap. I think that 50-70% of the landscape could stay like that, but some parts have to escape from the routine in order to make the region interesting to explore. I could possibly misjudge the situation though, because I only get to see a small spot of the whole region on these screenshots. That's pretty much the plan as far as the unique features goes. I don't plan to leave the height map as it is at all really. Its just a good starting point. 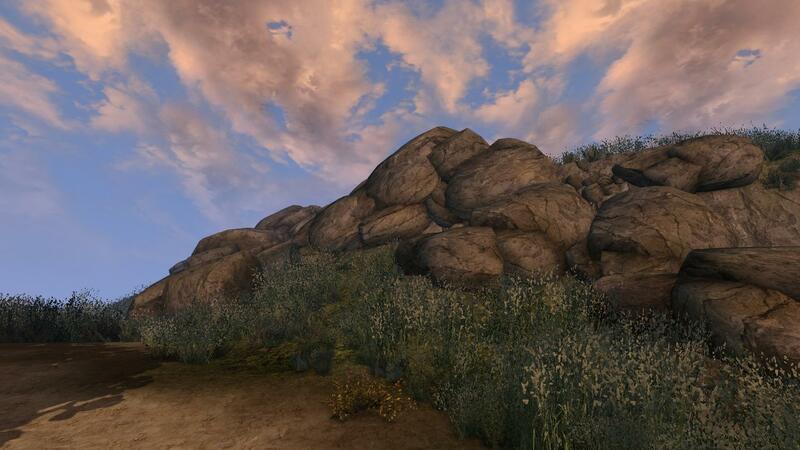 Don't worry about modelling anything for High Rock. I'm in no rush for flora and such at all. I've got lots of architecture based work work to keep me going. I will be posting screenshots of the two tilesets im working on as soon as I'm happier with them. I would like to suggest that we try to keep this area dryer than the rest of Highrock and use less much green grass and no deciduous trees, except maybe stocky Stone Oaks. Instead we could try to stick with cypresses and different shrubs. Perhaps even have dry green-yellowish grass growing and generally a mixmax of dryer/sandy and more humid spots across the landscape. As for flowers, we could possibly use lavender and heather amongst others. Both already exist as models. Some pseudo-stonehenge like structures shattered across the region could be interesting too, to give it some additional celtic wipe. That all sounds good to me. I quickly took some screenshots earlier of the area around Daggerfall City in TES 2. I don't think it should be too dry, but dryer than the more norther regions. I don't plan to make a carbon copy of TES 2 at all. But I think a few pines and oaks around would be good. Need to also add a lot more shrubs and things as you suggested. At the minute I like the overall colour scheme of the region. I just think it needs a bit more variation, just to add a bit of contrast. I have been making some new ground textures based on the colourscheme you started. I could do with some textures for paths. Some cobblestone ones would be good. I think there are some in the source images, they just need making tileable and of the right colour. Why are you making a bay area dry? Areas near water typically have more flora than inland areas where there's less water. Seems backwards. So every area near water has more flora than inland areas? Your logic seems backwards. It's not going to be a sandy desert. The slightly mediterrain climate makes sense, if you consider that this is supposed to be the mostsouthern peak of Highrock, the area surrounding Daggerfall. This is not intended to be representative for the complete coastline. Proximity to water, heightlevel and degree of latitude all play together here. I would assume there to be much more rain on the Wrothgarian Mountains, for example. The coastal areas further north will probably be much rainier and foggier aswell. 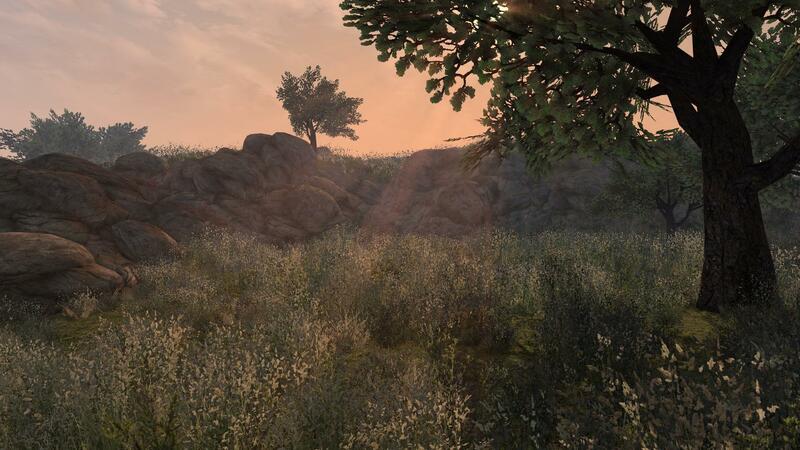 The mostsouthern area of Highrock is on a similar degree of latitude with much of Hammerfell, which, as we know, has got a vast deserty inland area and hot climate. Tes96 wrote: Why are you making a bay area dry? Areas near water typically have more flora than inland areas where there's less water. Seems backwards. Have you ever seen the Mediterranean? Some areas out there are dry as hell. The northern Illiac Bay is in a very similar situation, with a large body of salt water and a desert region to the south. 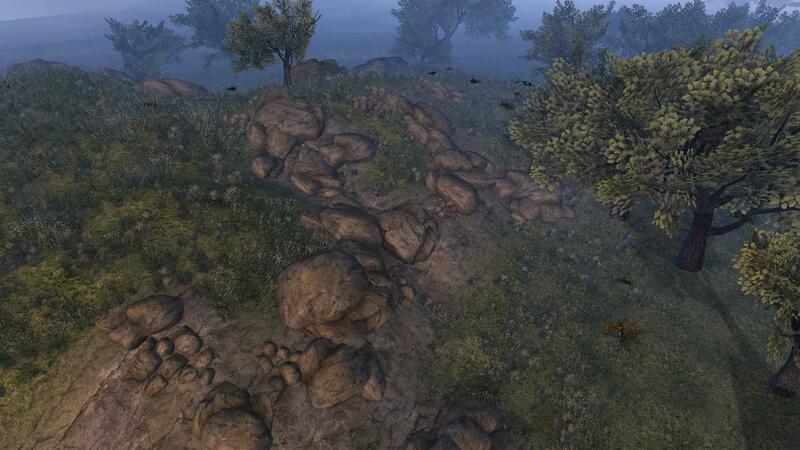 We have a similar thing going on with the Gold Coast in Cyrodiil. The flora of a given region is not so much dependent on the presence of water as on the weather patterns: if the Illiac doesn't get a lot of rain, it will not be very verdant. 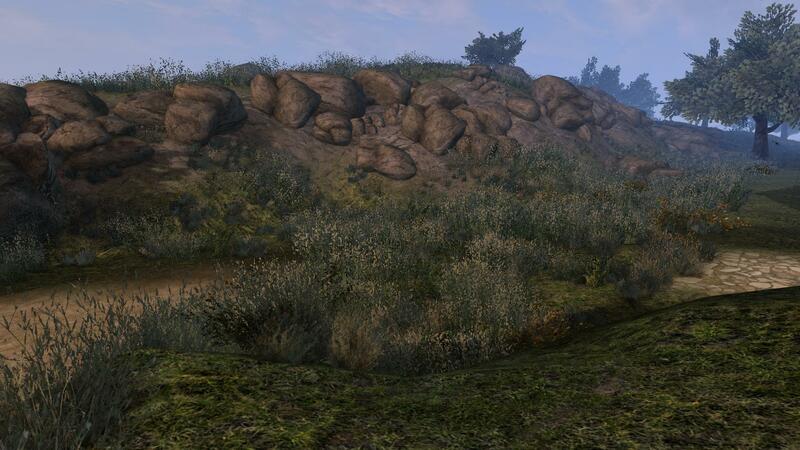 Judging by the map of High Rock, it appears that dominant weather patterns send rainclouds up along the northwest, where they break on what I imagine to be a range of low hills/mountains along the spine of the land (Ilessan Hills etc), creating a marshy wetland on the northwest side (Glenumbra Moors, Northmoor, Glenpoint) and depriving the southeast of moisture. Makes sense to be related to Mediterranean climate. But how can you infer rainclouds along the northwest when the the map is just one color and shows only names? The second map has little bumps for mountains and hills but that doesn't say much either. PGE1 describes the northern coast as bucolic (countryside). PGE also says, "The traveler need not visit more than a handful of Breton communities before satisfying himself that he has captured the flavor of the whole". Sounds like much of the province would look pretty much the same. 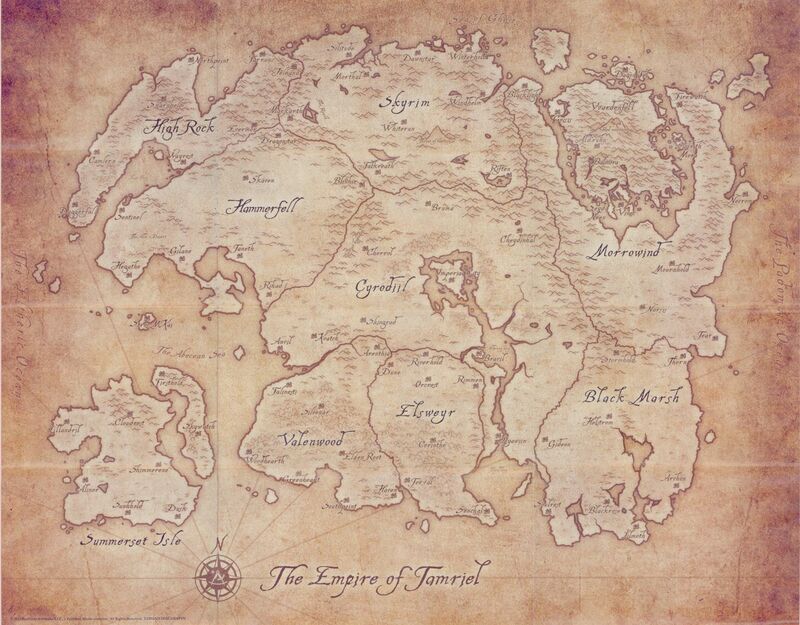 There isn't much else to go off of apart from TESII Daggerfall and ESO. 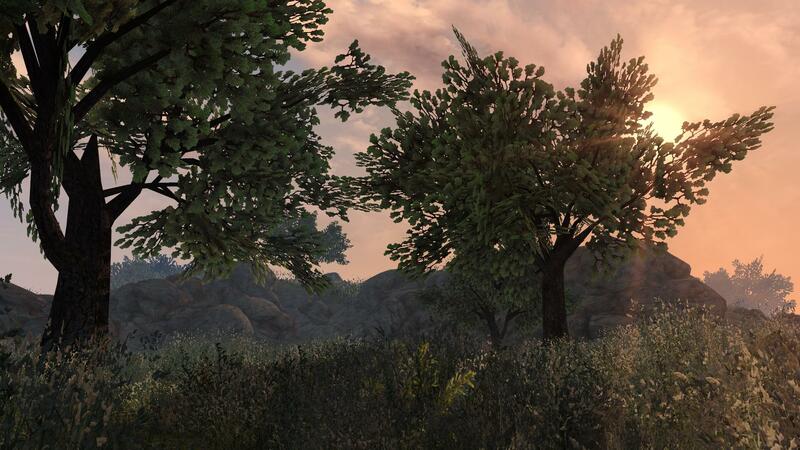 I know SGMonkey isn't too fond of ESO so I don't think he would include any landscape inspiration from it. 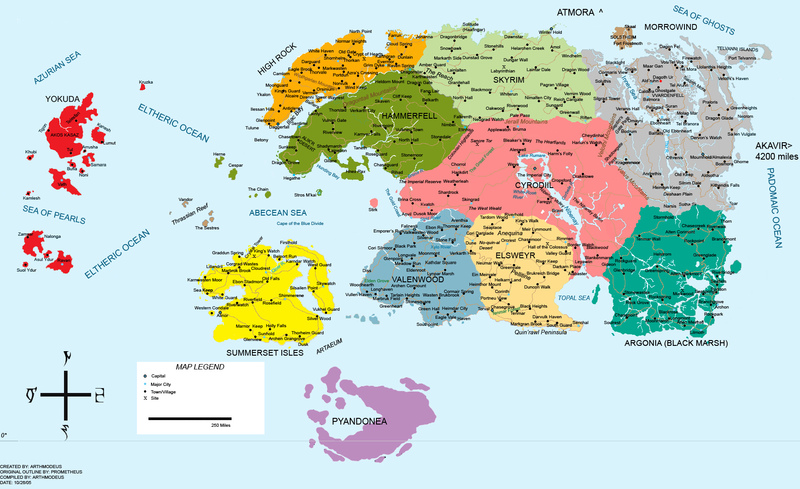 Because of the regional names from Daggerfall: Glenumbra Moors and Northmoor. Moors are a type of wetland.